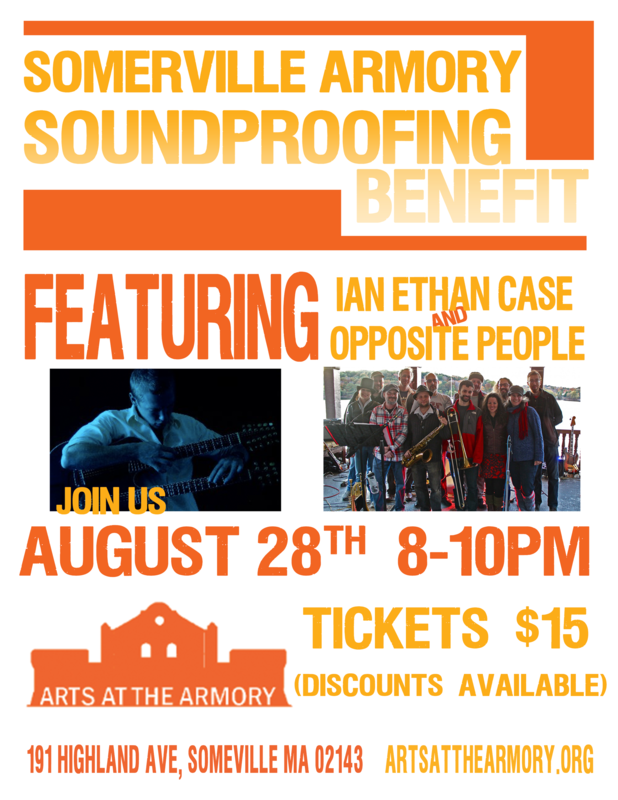 8-10PM Somerville Armory 191 Highland Avenue Somerville, MA 02143 "We are still on our quest to raise $50,000 to begin renovations to soundproof The Armory! Making these architectural updates to the building will allow for us to host a broader array of events while still being respectful to the noise concerns of our wonderful neighborhood. This is our second benefit concert where your ticket purchase will help get us closer to our goal."